Celebrating Our Scholars: The 2018 Words Alive Westreich Scholarship Award Ceremony! 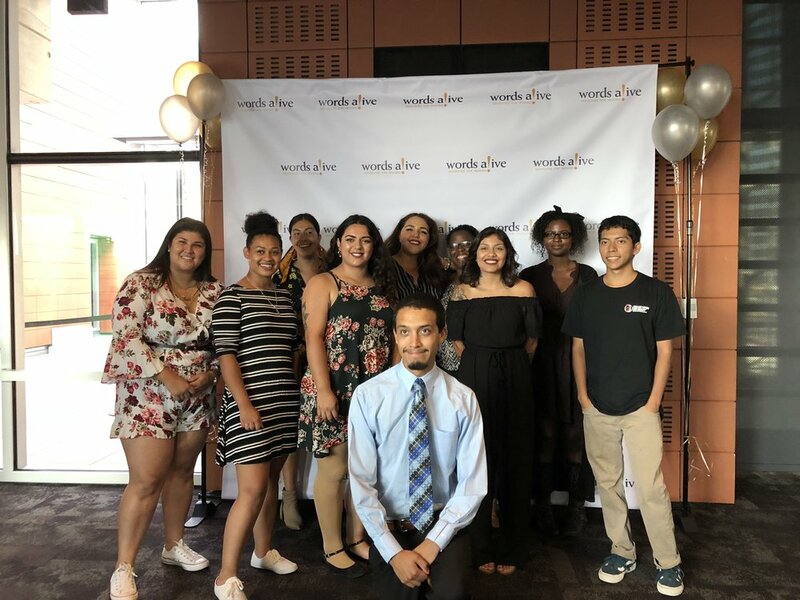 On August 22nd, Words Alive held the annual Words Alive Westreich Scholarship (WAWS) Award Ceremony at the San Diego Central Library to celebrate the 2018-2019 Words Alive Westreich Scholarship recipients. 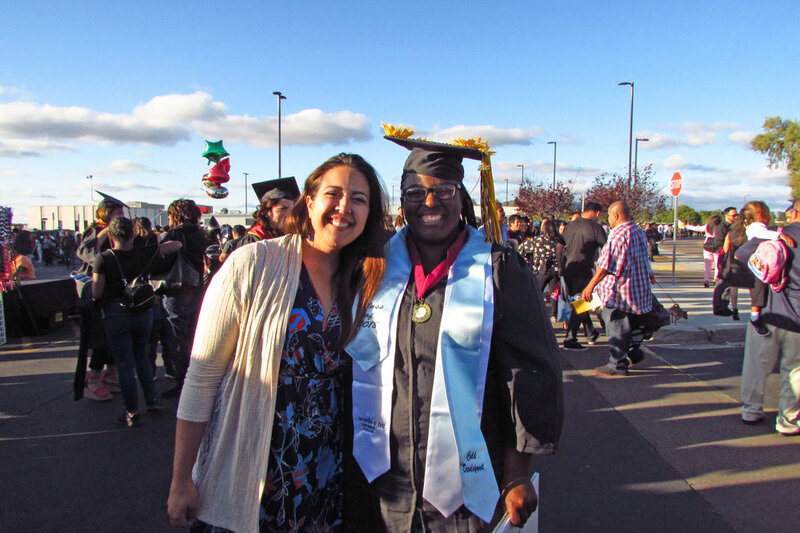 Unlike other scholarship programs, which typically fund only tuition, books, and educational supplies, each scholar in the WAWS program is eligible to use their scholarship funds to cover the cost of rent, food, childcare, clothing, transportation, and other living expenses. 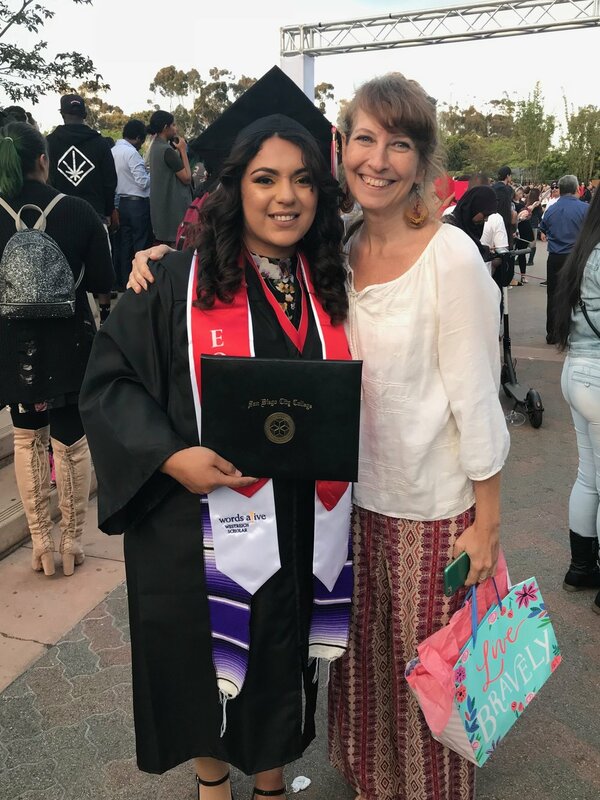 Words Alive awarded $37,500 in scholarships for the 2018-19 academic year. Nine of the scholars are returning to the program after participating in at least one other year and are receiving a $3,500 scholarship, while three first-time scholars are receiving a $2,000 scholarship from the organization’s Julia & Zoey Shenkman Award. Additionally, each scholarship recipient is matched with a mentor. The mentors meet with their student throughout the school year to help provide guidance and, often times, a shoulder to lean on. This year, Words Alive is happy to present these 12 remarkable students with the Words Alive Westreich Scholarship: Paulina Aguilar-Lino (Southwestern College), Zaphire Alonso Duarte (San Diego State University), Destiny Frost (Cal State Bakersfield), Rose Gonzalez (San Diego State University), Diana Gonzalez-Soto (San Diego City College), Ulises Izucar (Point Loma Nazarene University), Aaron Juarez (Southwestern College), Zaira “Lexi” Martinez (San Diego State University), Alicia Osuna (San Diego City College), Daimeon Rodriguez (San Diego City College), Antonise Stewart (San Diego City College), and Domminiece Willis (San Diego State University). One of the scholars, Daimeon Rodriguez, is a student at San Diego City College with plans to major in computer engineering and is proud to have made the Dean’s List this past year. Daimeon is from a rural part of Texas, an oil town, where many people don’t “make it out.” He said he is very grateful to receive the scholarship again and to continue his path towards a successful future. At the scholarship ceremony, he explained how his experience with Words Alive has changed his life for the better. All recipients had a mentor, family member, or close friend to present the scholarship to them, all of whom spoke very highly of the scholar, with continuous praise to the amount of drive, determination, and grit of each student. Many of the students have overcome unbelievable obstacles including homelessness, teen pregnancy, abusive relationships, familial drug and alcohol abuse, and juvenile delinquency. These are students who have taken the initiative to help create better lives for themselves, even if at times they believed that was not possible.